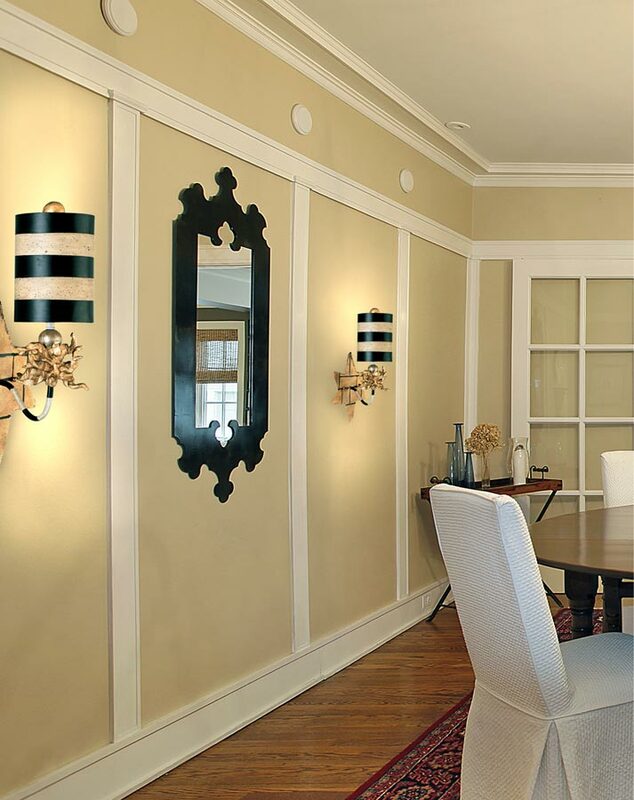 This Flambeau Audubon 1 light wall light in gold finish with black and putty shade features bold New Orleans style. Star shaped wall mount and double curving arm, with bursting golden flower bud and ball finial, topped with a hand painted cylinder shade. The arm and shade feature broad bands of hand-applied black and putty. 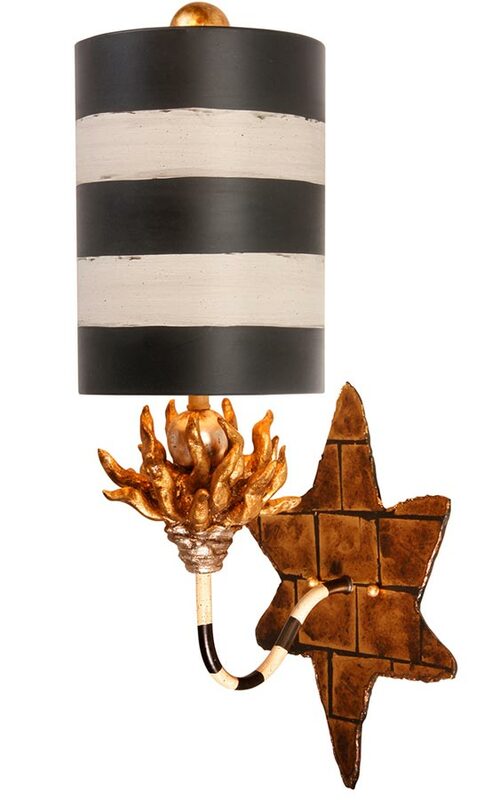 Audubon features a black and putty striped shade atop gold leaf blossom sculpted elements, bursting from black and putty striped metal stems. The star-shaped base and back plate are etched to resemble the cobblestone streets of New Orleans. This is a large wall light that’s 54cm tall and not for the faint hearted. It will make a statement wherever it’s fitted. Bold and colourful, this fitting is ideally suited to the larger living room, bedroom, dining room or hallway. Supplied by Elstead Lighting and designed by Flambeau in New Orleans who offer unique and distinctive lighting collections. Working with specialist designers who model up their own original creations using distressed finishes of gold and silver leaf to create 21st century antiques such as the Audubon Park 1 light table lamp in distressed gold finish with crystal glass and cream shade you see here.